Well, this past week has been pretty bad for work. I’m working lots of hours; but it is tax season, so I guess it comes with the territory. In fact, in the last 3 weeks, I’ve had just one day off. If they were normal 8-hour working days, it might not be so bad. But these have been 10-14 hour working days. And I think I’m about to lose it – my marbles, that is! So therefore, I think tomorrow will have to be another day off for ‘my sanity’. 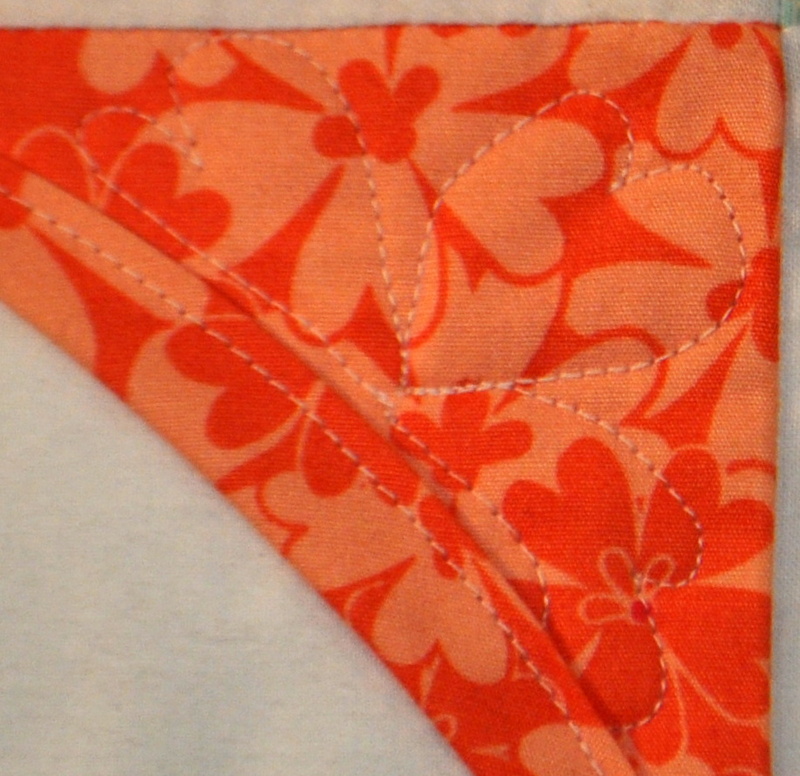 Due to my crazy work schedule lately, I really haven’t had much time to sew. I did finish up a baby blanket I was crocheting for a co-worker. She is due in just 4-days so it really had to be done. I forgot to take a picture of it though, so I guess I can’t show it to you. However, I will share with you a project I designed and completed before things got crazy at work. I am working on a pattern for a quilt and I wanted to make a few test squares. They turned out really nice so I decided to turn them into a pillow. I had it designed and made in part of a weekend, so I was very thrilled with how quick it all went together. The flowers inside each circle are machine embroidered. 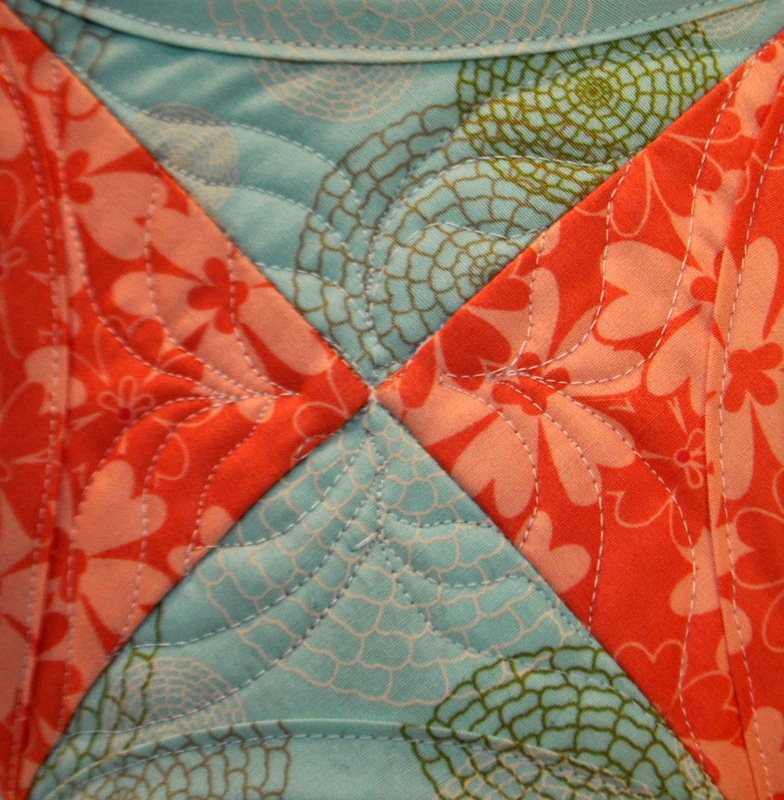 I also decided to practice some free motion quilting. This is an area I really need to work on, but I’m pretty pleased with how this turned out. 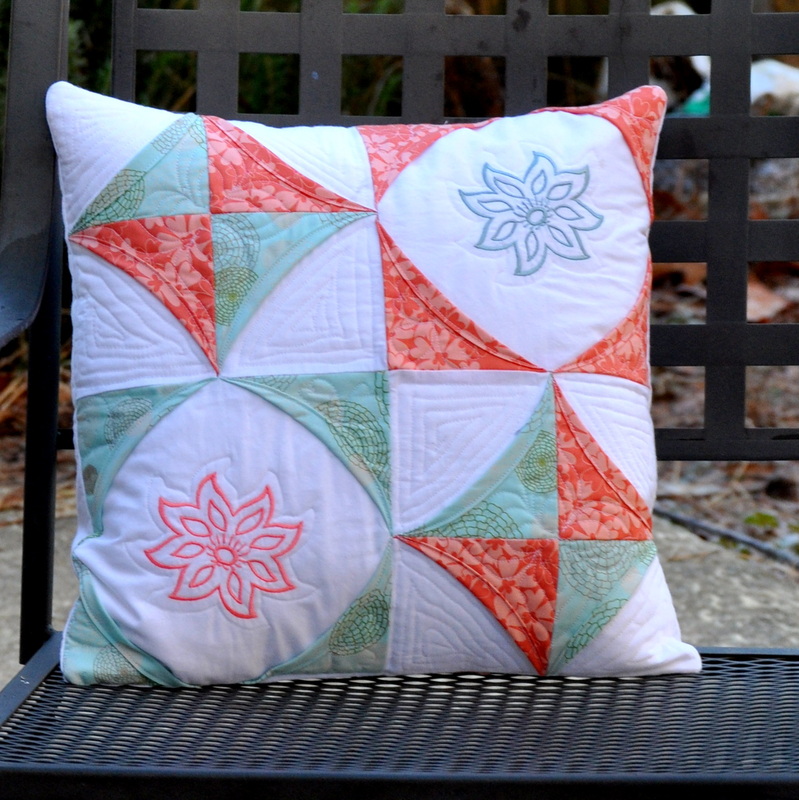 This entry was posted in Quilting/Sewing and tagged embroidery, fmq, free motion, patchwork, peeled-back, pillow, quilt, quilting, star by monkeyneedle. Bookmark the permalink.